Box to store your jewellery. Crafted with wood and stones. Size of Product: L-2"X W-2"X H-2"
You want a beautiful box to store your jewellery. You want a beautiful box to highlight your dressing table or any other space. You go not want a regular looking box. Then this item solves your problem. 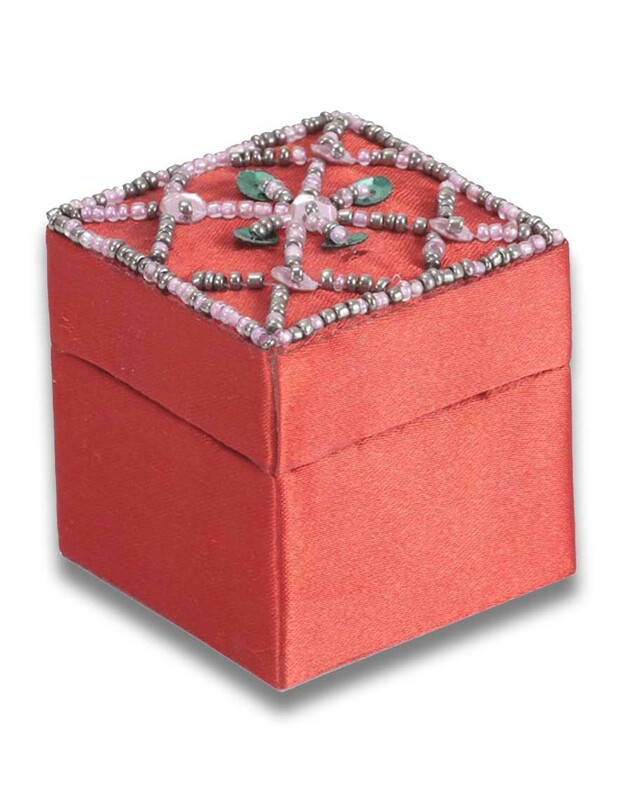 It is a red colour box with bead design on the top. It is made of wood which makes it durable and light weight to use. An ideal gifting option.